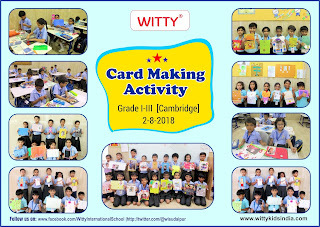 On the top of the World...: Card Making Activity@WIS, Udaipur. Card Making [email protected], Udaipur. 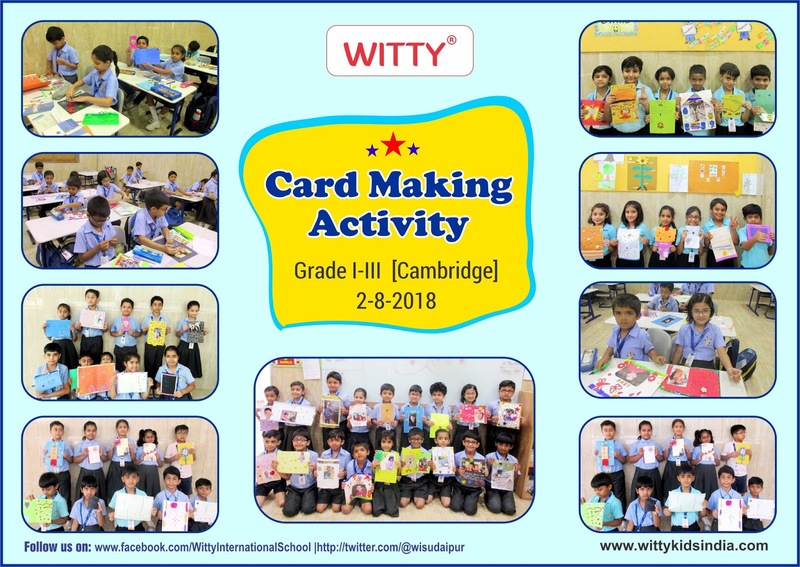 To explore the creativity of every child, to express their love and gratitude for their parents, a card making activity was conducted at Witty International School, Udaipur for the Grade-I, II and III Cambridge students. Students made their own cards and exchanged their messages amongst each other. It was a treat to see them all working together and using their creativity.